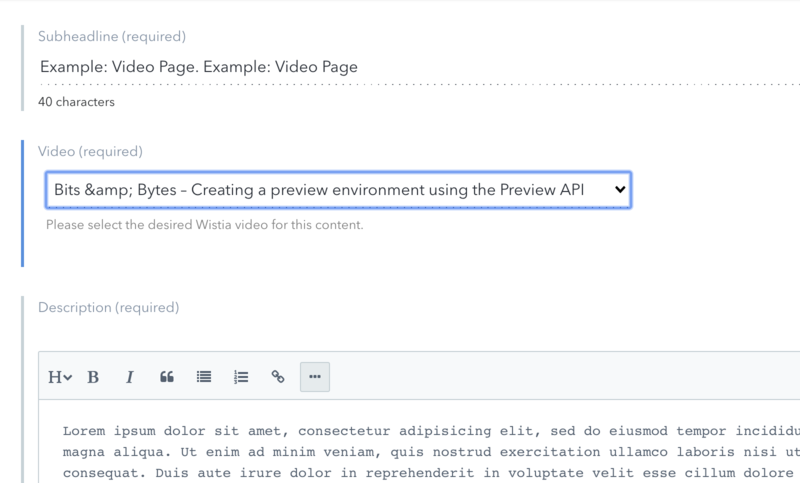 This UI extension allows your editors to see a nice dropdown of all the videos in your Wistia account sorted by Projects. Your developers can then use this data to construct landing pages from the data. A Wistia API Key with permissions: read all project and video data. Go to your Account > Settings in Wistia. On the sidebar click on API Access under the Advanced header. Create an API key with the permissions Read all project and video data. Once you've created your API Token click Copy and save it for the next step. Now that you have these credentials you can deploy your Lambda function to your desired platform. Here is the code for the lambda function that you will be deploying. 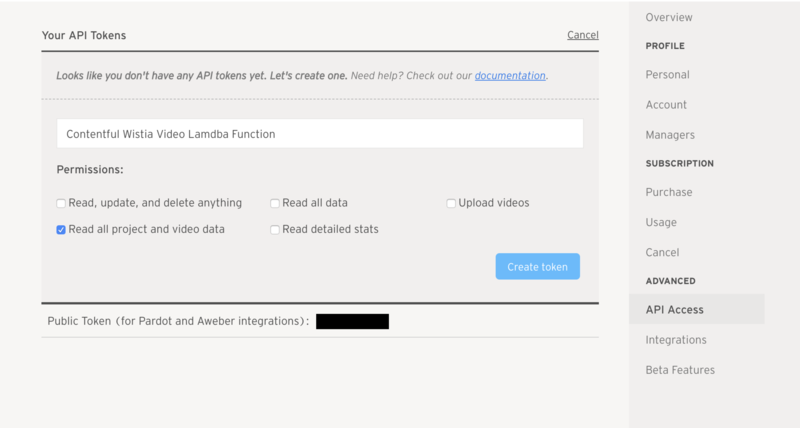 Copy the API_KEY you have from step 1 into the Environment Variables section of your lambda hosting platform. Here is the names of the variable you will be adding to that section. Make sure the key name is added exactly as below otherwise your lambda function won't work.